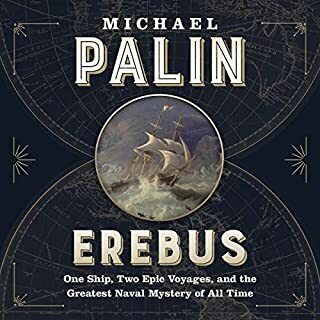 The third and most ambitious of Michael Palin's adventures is a voyage of epic proportions - the circumnavigation of the Pacific Rim. He travels for almost a year through the 18 countries that border the world's largest ocean, and is forced to negotiate mountains, plunging gorges, cross glaciers and dodge icebergs. Volcanoes also mark Palin's journey. He climbs one which has freshly erupted and follows great rivers like the Yangtze and the Amazon to some of the most remote places on earth. He also eats maggots in Mexico and talks to head-hunters in Borneo. Full Circle is the record of a journey of several lifetimes and of the colourful and beautiful world that stretches around the Pacific Ocean. 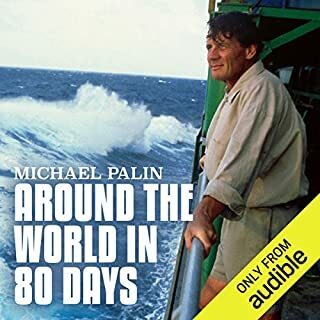 ©1997 Michael Palin (P)2014 Audible, Inc.
A lovely man who gets the best reactions from people of all nations. It's great to share in his travels. The journey is entertaining and the world seems a little more accessible when you tag along with Michael. I've been 'along for the ride' with him for over 20 years and never miss a trip. All the interesting people Michael meets know they are not being taken advantage of. His interviewees are at ease and never feel threatened or suspicious. Michael Palin is honest and never gets his laughs at anyone Else's expense. That's why you can trust him to entertain without exploitation. On his travels the focus is on the story and not on him. His humility is his big advantage over others who concentrate on being the stars of the show. Michael makes sure everyone else is the star. Kudos MP I've been a fan since I was a kid. Loved your Python days. Loved your career since the 80's too. 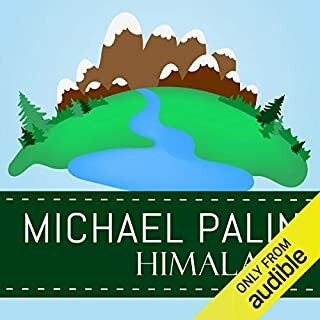 If you like travel, interesting people and geographically based tales served up with humour and a sympathetic ear check out any of Michael s great travel books. This one sees him traveling 'Full Circle' right around the Pacific Rim and visiting many countries along the way. I really struggled to plough through half this book and then face up. it's just not interesting. In selecting 'Full Circle' I was only looking for something gentle on the ear for the car journey to and from work. What I got was pure entertainment. Having seen the tv programme it is easy to put pictures to Michael's words, but his use of those words makes that unnecessary. Because it is Michael Palin reading his own book one can feel the emotion that went behind the careful placement of the words on the blank page. I shall certainly be looking at getting his other travelogues in the near future. Micheal Palin could make a stroll to ASDA sound like a epic encounter and he makes a well welcomed return here. The book is education, informative and funny. 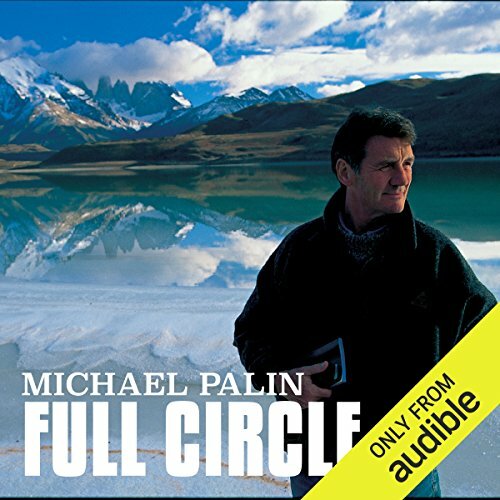 Would you listen to Michael Palin: Full Circle again? Why? Really enjoyed this book. The TV series was great too. Michael Palin is an intrepid explorer and a Python of the Monty variety opposed to the slithering type. This book accompanies one of his early or original journeys. 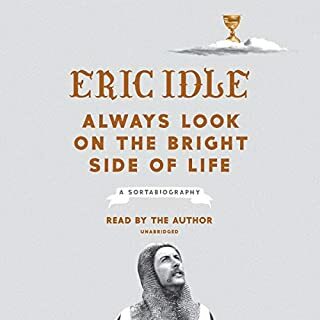 The other titles of note in my opinion; "Around The World In 80 Days," "Pole To Pole" and "New Europe" are well worth reading if you enjoyed this book. I had to give Performance 4 Stars only because some the volume on some chapters seems to dip and stays low until next chapter. I've checked my devices and it's the same on each, so I'm sure it's not a technical issue at this end. It's a recording issue. Easiest way to explain it is it sounds as if he moves away from the microphone sometimes. That being said it did not impact on the quality of the narrator, the story/retelling or alter the enjoyment of "Full Circle." You don't need to have seen the TV series that accompany each book, they stand on their own two feet and go into certain things in more detail than the programme and there are stories that only appear in the books and not the show. But if you enjoy these Travels With Michael Palin, then I highly recommend watching the TV series if you can. They too are excellent. 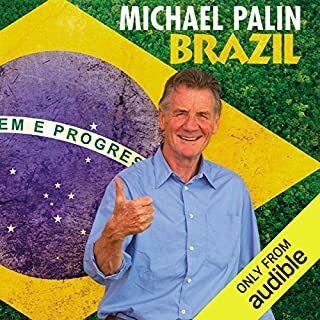 Finally, I think Michael Palin has struck Gold with his journeys, they are funny, always light hearted, entertaining and enlightening too. Quintessentially British! Some parts are skipped too fast while other moments or events are described in lots of detail. Nice overall. I loved Brazil as It gave me a real insight into the country and I was fascinated by the detail. For me, and I love Mr Palin, I would rather have a shorter journey and more detail. I won't go for another one that concentrates on waiting and struggling to get on. I want to know more of the flavours and detail... Take me there and let me have a really good look round, get more than a google earth feel for the colour. Still love Mr Palin though. Incredible. 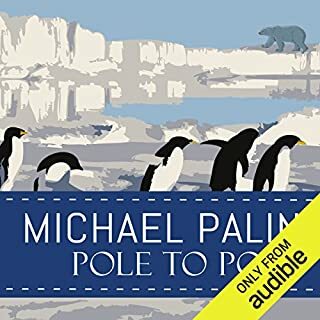 Love Michael Palin, his anecdotes and observations as he travels around the world are brilliant.